Add an elegant touch to your look with these earrings by Napier. These round dangle earrings feature blue Swarovski elementsat the center & a leverback closure. Earrings have a 1'' drop. A simply elegant way to dress up your look by Napier! These earrings feature clear stones in a silver tone setting & lever back closures. Earrings measure 1 in. in length. Add an elegant touch to your look with these earrings by Napier. These round dangle earrings feature a pacific opal glass stone at the center & a leverback closure. Earrings have a 1 in. drop. 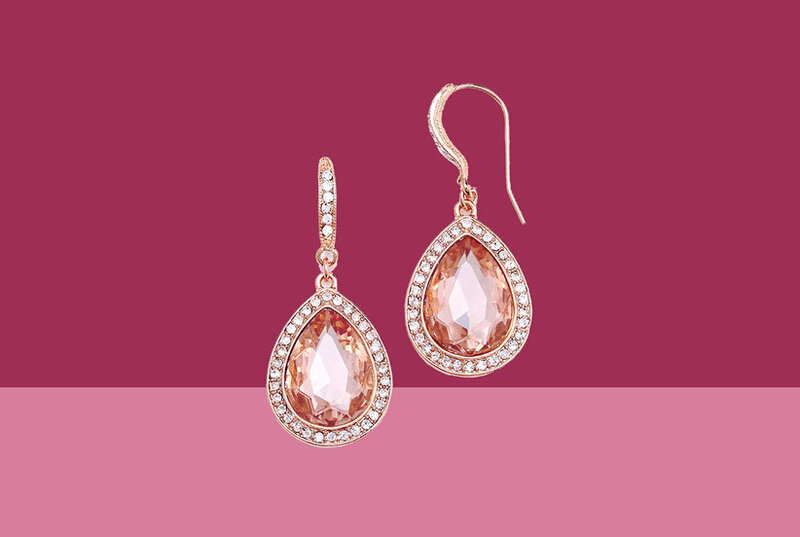 Add an elegant touch to your look with these earrings by Napier. These round dangle earrings feature a multi-faceted stone atthe center & a leverback closure. Earrings have a 1 in. drop. A simply elegant way to dress up your look by Napier! These earrings feature black stones in a silver tone setting & lever back closures. Earrings are 1 in. in length. A simply elegant way to dress up your look by Napier! These earrings feature clear stones in a silver tone setting & lever back closures. Earrings measure 1.5 in. in length. Add an elegant touch to your look with these earrings by Napier. These silver tone earrings feature a suspended oval designand leverback closures. Earrings measure 1.25'' in length.